Just like Bas Jan Ader, I originate from Winschoten, a small town in the province of Groningen (The Netherlands). Because of this shared background, I’ve Always felt I ‘had’ to do something with Ader. 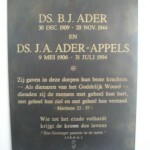 Ader grew up in Nieuwe-Beerta (close to Winschoten), where his father was vicar at the Reformed Church, and where the Ader’s lived at the vicarage. After World War II the Aders moved to Drieborg. In Winschoten Bas Jan Ader attended high school. Good friend and co-curator Daniël Dennis de Wit told me about his “I Miss Bas Jan Ader”-photo, in which he seems to be crying in a pose that resembles Bas Jan Ader crying in front of the camera. Our shared fascination for Bas jan Ader became the starting point of what would turn out to be a huge project dedicated to Bas Jan Ader. Of course we knew all sorts of projects had already been organized about Bas Jan Ader. 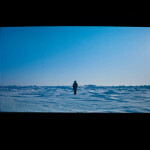 Projects about the legacy of Ader, projects about falling, projects about gravity, projects about the romantic notion. And so on. But all these projects were organized in big cities, in Holland and abroad. 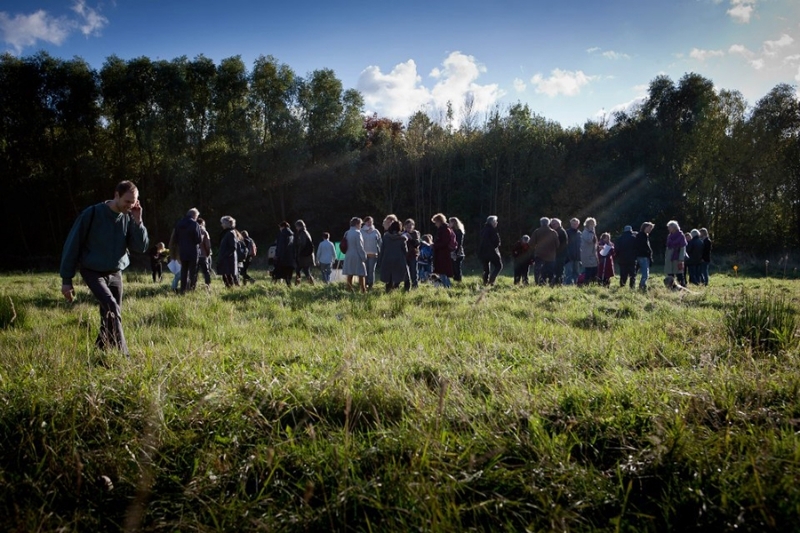 There hadn’t been organized a project about Bas Jan Ader in the region where he grew up. We found this a pity, and also a bit strange. As we feel this region is an important signifier when one studies Bas Jan Ader’s art. And thus we decided to organize this project ourselves. In Nieuwe Beerta and Finsterwolde, where Ader did take part in a group exhibition at Galerie Waalkens in 1973 (with artists like Ger van Elk and Gilbert & George), people know the story of Bas Jan Ader’s father; Bastiaan Jan Ader. Bastiaan Jan helped hiding jews during World War II, and in the end paid the ultimate price for this. 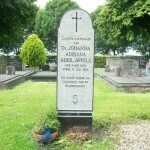 Bas Jan Ader’s mother, Johanna Ader-Appels, who is buried at the cemetary behind the Reformed Church, did write a book about this turbulent history: “Een Groninger Pastorie in de Storm”. 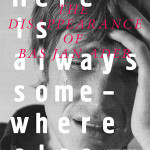 the story of Bas Jan Ader was less known in the region where ge grew up. Partly because he left at an early age. 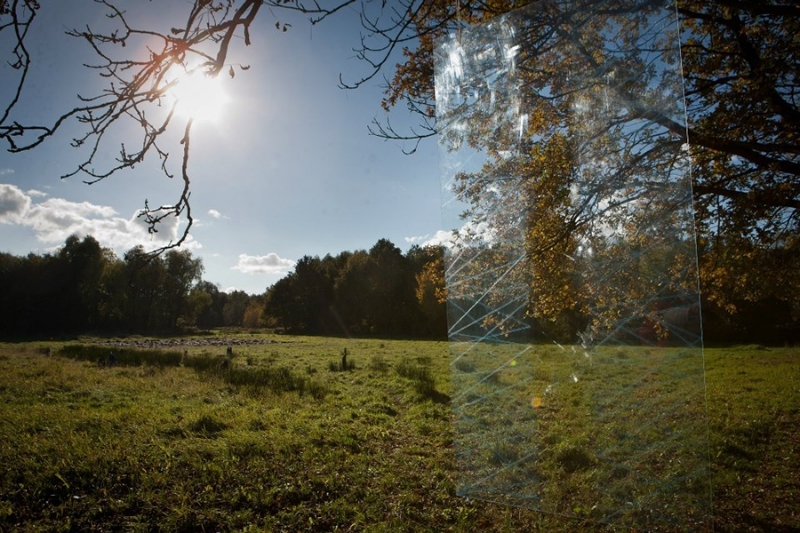 With this project we wanted to show the art world the region where Ader grew up. At the same time, we symbolically wanted to bring back Ader to the region where he originates from. We wanted to show inhabitants of the region part of their own history, a history they might not even be aware of, or had forgotten about, because it was already more than 30 years ago that Ader disappeared with his little sailing boat. Because we wanted to emphasize the personal aspect, we choose locations that somehow had meaning to Ader himself. 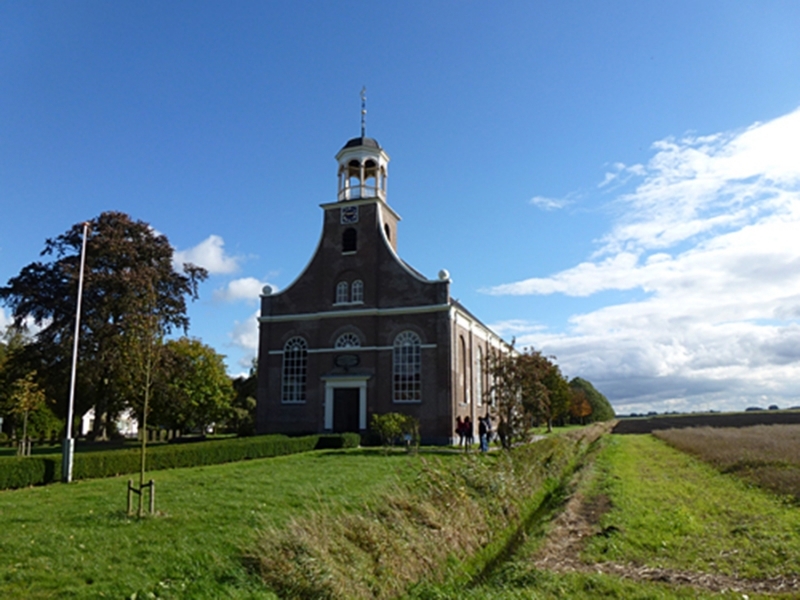 The Reformed Church because his father was vicar at the Reformed Church. Galerie Waalkens because Ader participated in a group exhibition at Galerie Waalkens in Finsterwolde in 1973 (one of his last exhibitions in Holland). And the Academy Minerva building because Ader would have gotten a solo exhibition at the former Groninger Museum building in Groningen, that now houses Art Academy Minerva. The Exhibition was already planned, but didn’t go though when Ader went missing. In de In Search of…#1- exhibition in Nieuw-Beerta we showed art by artist that directly refer to Ader, his family history or art historical history. 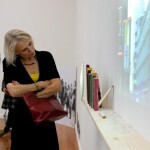 The exhibition was on view from 2nd of September – 28th of October 2012. Singer-songwriter Lucky Fonz III, a huge fan of Bas Jan Ader (De Volkskrant music journalist Gijsbert Kamer did interview him about this. 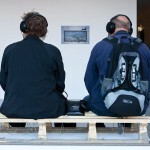 The interview was re-published in our publication), played at the opening. 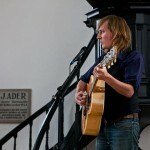 On the 23rd of September 2012 there were performances of Dutch singer/songwriter Birdt! 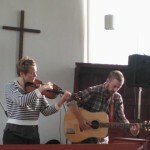 and Serbian band Mesta in the Reformed Church. Both are big fans of Ader. Also part of the exhibition at the Reformed Church; 4 video interviews with people that knew Ader personally. Mrs. Tantje Kuiper-Bruins used to work as maid at the Ader family from 1942-1946. 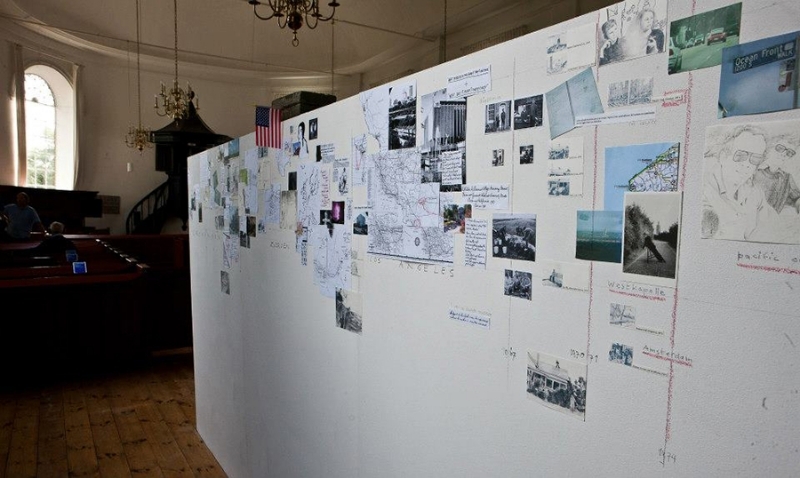 In this interview she tells about that time, about the war, about the people that were hiding during WWII, and the upbringing of Bas Jan Ader and his brother Erik. The interview could be seen at the In Search Of…-exhibition at the Reformed Church in Nieuwe Beerta from 2nd of September – 28th of October 2012, together with the video interviews with Tjark Tijdens, Hans Smit and Harm Evert Waalkens. Camera + editing: Klaas Koetje. Directors: Dost/Koetje. Unfortunately mrs. Tantje Kuiper-Bruins passed away in 2016. Tjark Tijdens lived in the same village as Bas Jan Ader when they were young. Together they attended primary school and Bas Jan Ader stayed with the Tijdens Family for some time when things weren’t going ok at home. In a later stage Tijdens visited Bas Jan Ader in America, he tells about this visit in this video interview. The interview was included in the In Search of…-exhibition at the Reformed Church in Nieuwe Beerta from 2nd of September – 28th of October 2012, together with the video interviews with mrs Kuiper-Bruins (maid at the Ader’s from 1942-1946), Harm Evert Waalkens (son of ‘farmer Waalkens’, who owned gallery Waalkens in Finsterwolde, where Ader took part in a group exhibition in the 70s) and Hans Smit (a former classmate of Bas Jan Ader). Camera + editing: Klaas Koetje. Directors: Dost/Koetje. Hans Smit was classmate of Bas Jan Ader at the secondary school in Winschoten. In this video interview he tells about how surprised he was when he heard Bas Jan Ader was missing, after he went on this trip with his little boat. The interview was included in the In Search of…-exhibition at the Reformed Church in Nieuwe Beerta from 2nd of September – 28th of October 2012. Camera + editing: Klaas Koetje. Directors: Dost/Koetje. Harm Evert Waalkens is the son of ‘farmer’ Waalkens from Finsterwolde. Albert Waalkens, what’s Boer Waalkens’ official name is, in the 60s and 70s of the 20th century was a gallery owner in Finsterwolde. Bas Jan Ader participated in a group exhibition at Waalkens Gallery in the 70s, together with Gilbert & George, Ger van Elk and William Leavitt. Harm Evert Waalkens (from 1998-2010 member of parliament on behalf of Partij voor de Arbeid) tried to recollect his memories about the gallery, and tried to sketch the importance of the gallery for the region. 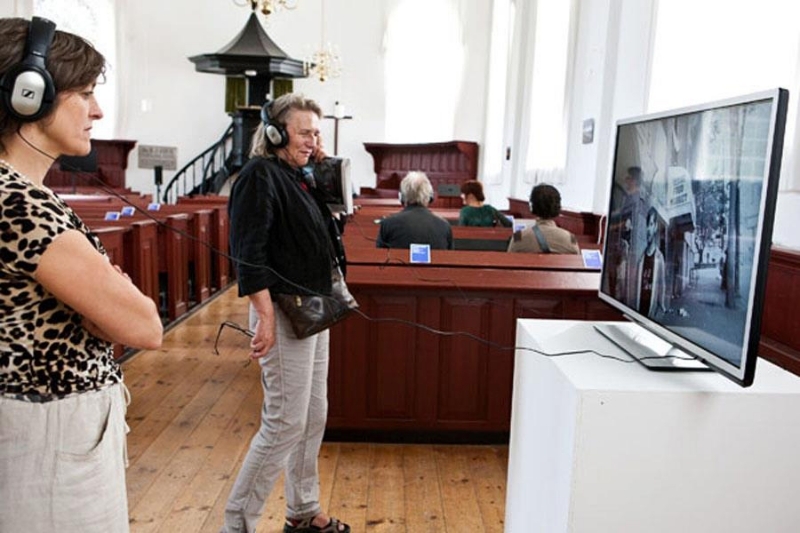 The video interview with Harm Evert Waalkens was part of the In Search of…-exhibition at the Reformed Church in Nieuwe Beerta from 2nd of September – 28th of October 2012. Camera + editing: Klaas Koetje. Directors: Dost/Koetje. In Groningen, we showed art about mythology and adoration. We found this fitting as Ader is admired a lot, and this admiration can sometimes obscure things. As a visitor you had to make the connection to Ader yourself. Which might have been a lot to ask, but we thought we could ask this nonetheless. All artists that were included in the exhibition loved Ader. The exhibition was on show from 6th of October 2012 – 28th of October 2012. 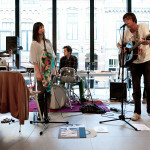 Spilt Milk, Vakantie and Gijs Deddens performed at the opening. 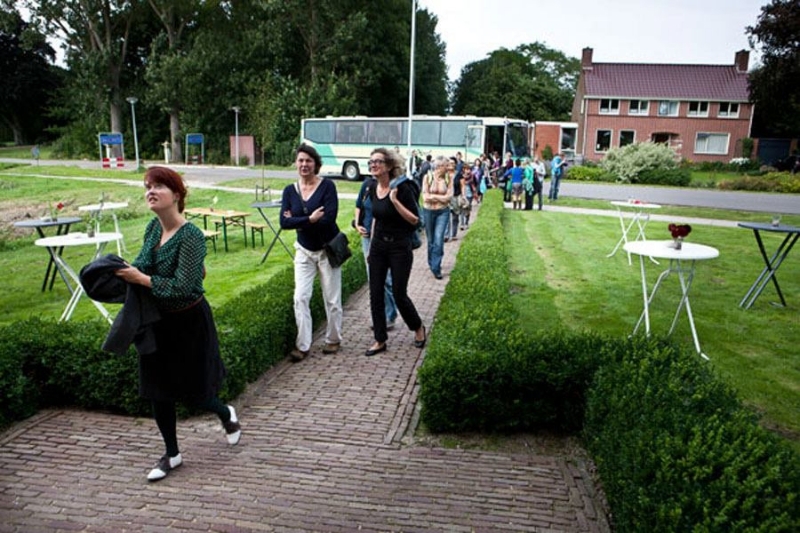 In Search of…-presentation in Finsterwolde. 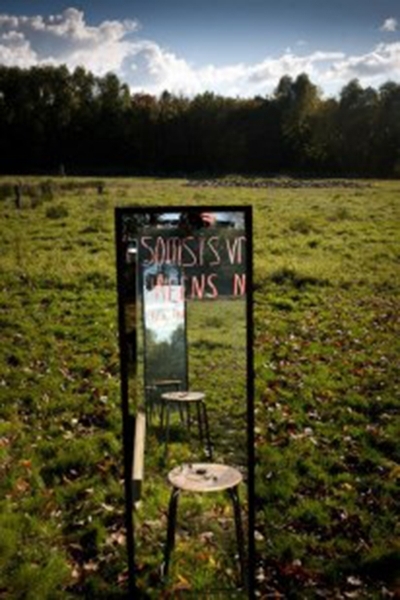 With this project we collaborated with Academy Minerva, the local Art Academy, situated in Groningen. Fellow curator Daniël Dennis de Wit gave a course to 2nd, 3rd and 4th years students in September and October 2012. Students in the end created their own art inspired by Ader, and presented this art at the In Search of…#3 presentation at Galerie Waalkens in Finsterwolde. 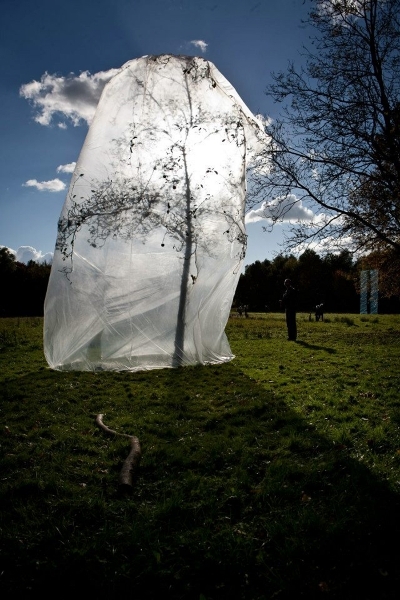 The presentation could be seen on 27th and 28th of October 2012. 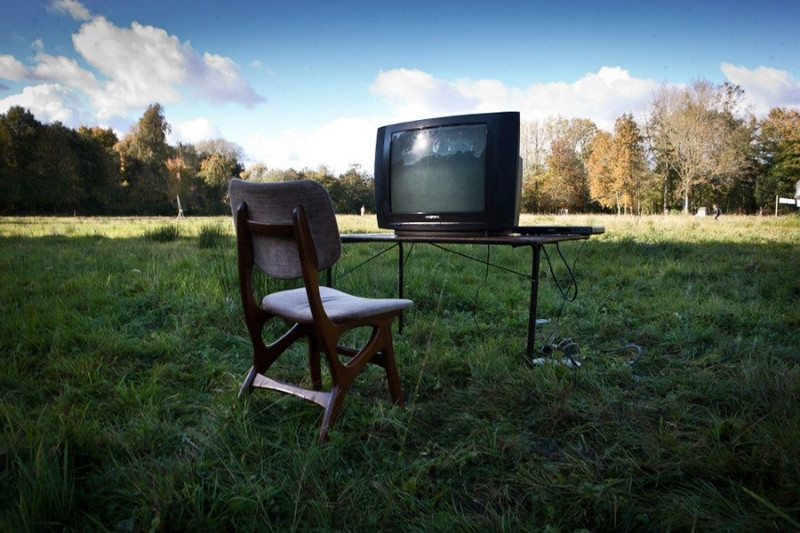 Also part of the project; a film programme, in collaboration with ORKZ Cinema in Groningen. Curator and orhaniser/coordinator of the film programme was Mare van Koningsveld (who also did the pr & communication for In Search of…, and did the coordination of the volunteers and the opening events). 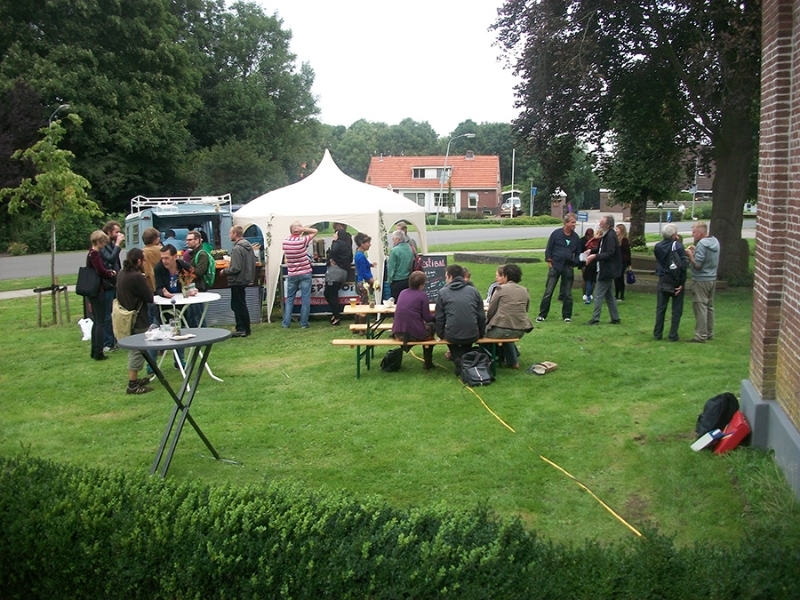 The film programme was organized from 12th-15th of October 2012, at ORKZ Cinema, in Groningen, The Netherlands. The films somehow used thematics that Ader used in his art as well. 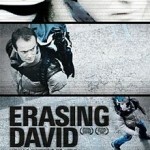 – Friday 12th of October: Erasing David. Directors: David Bond, Melinda McDougall. – Saturday 13th of October: Here is always somewhere else. Director: Rene Daalder. 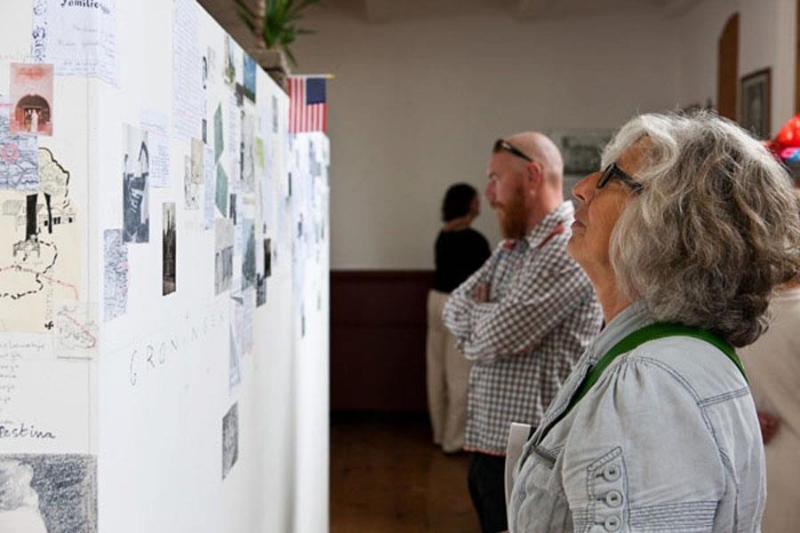 EXTRA: Daalder – living in Los Angeles – came over for the opening. Art Historian and film lover David Stroband gave an introduction, and led the discussion with public in director after the screening. 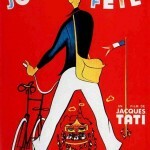 – Sunday 14th of October: Jour de Fete. Director: Jaques Tati, 1949. 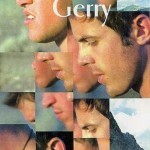 – Monday 15th of October: Gerry. Director: Gus van Sant. 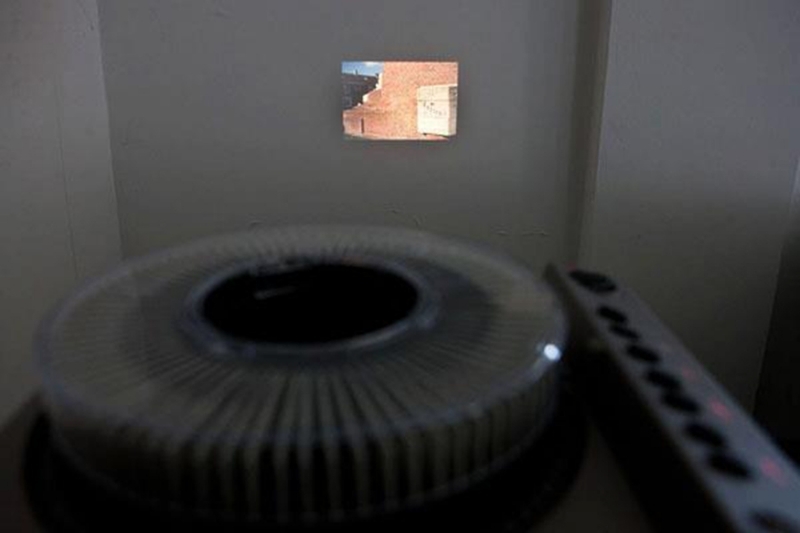 Each day we also screened the short film In Search of the Miraculous (2011) by young American film director Sam Kuhn. Kuhn attended the screening of 13th of October in person, together with Erik Jensen, who played the main character in his movie. 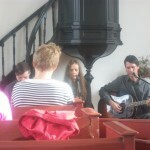 – On Saturday 15th of September 2012, there was a lecture of Maike Aden at Reformed Church. 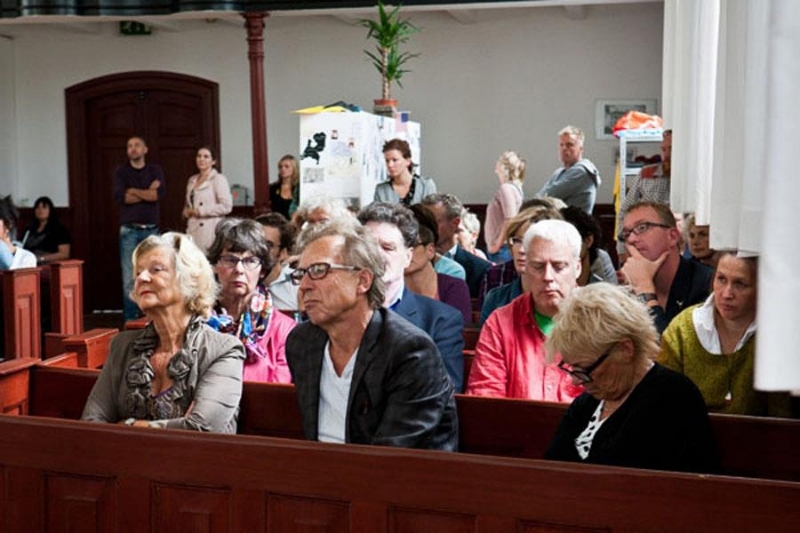 – On Saturday 20th of October 2012, there was a lecture by Marion van Wijk & Koos Dalstra at Academy Minerva, Groningen. 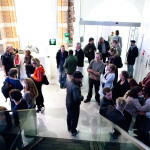 – On Sunday the 28th of October 2012, there was a lecture by Jan Verwoert at Academy Minerva, Groningen. 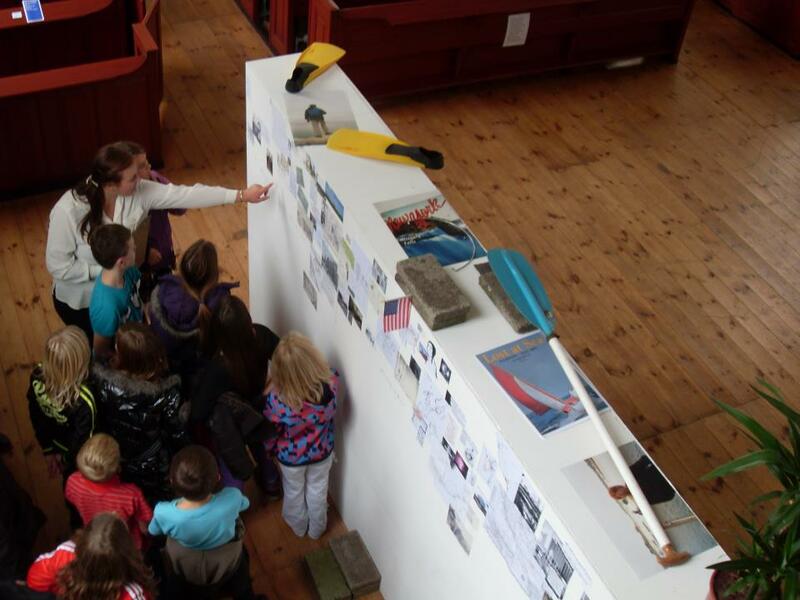 We had asked Ivar van Bekkum & Esther Polak to do workshops for kids with this project. 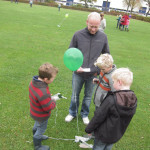 Kids went drawing with a GPS device (which normally is used to ‘find something’). 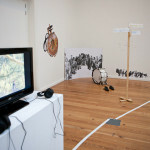 Van Bekkum & Polak showed that GPS devices can also be used as a drawing device. 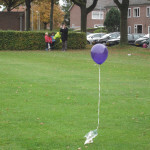 Kids got helium balloons so they could orientate in the empty fields. 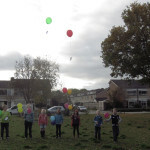 Final goal: make a drawing, and use the balloons as markers. Apart from this we collaborated with two organisations that are specialised in education. 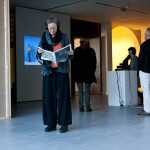 In Groningen: Kunstencentrum Groep. 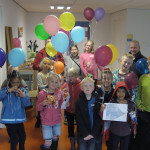 in the province of Groningen: Kunststation C. By collaborating with these two organisation, hundreds of kids visited the exhibitions and took part in the workshops. 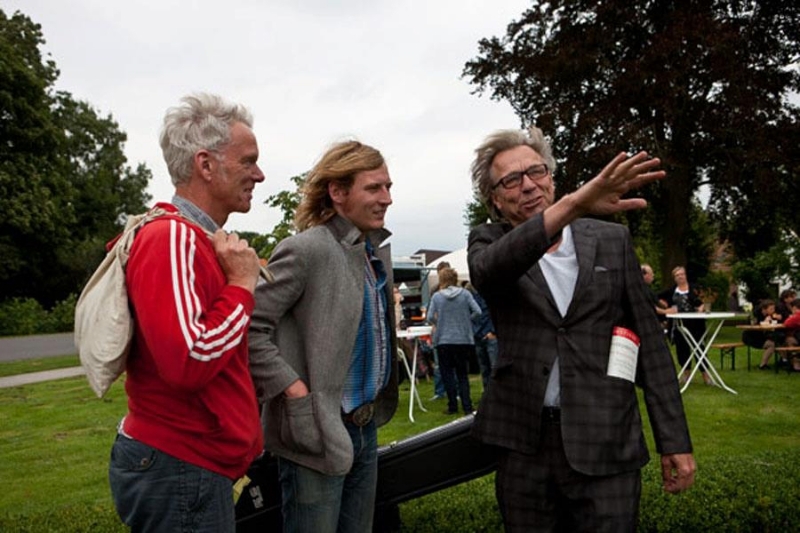 The jury that selected the winner consisted of Dagblad van het Noorden editor-in-chief Evert van Dijk, Daniel Dennis de Wit and me. Winner was Paula Stam. She got her prize at the opening of the In Search of…#2- exhibition in Groningen. The prize was handed out to her by Evert van Dijk. 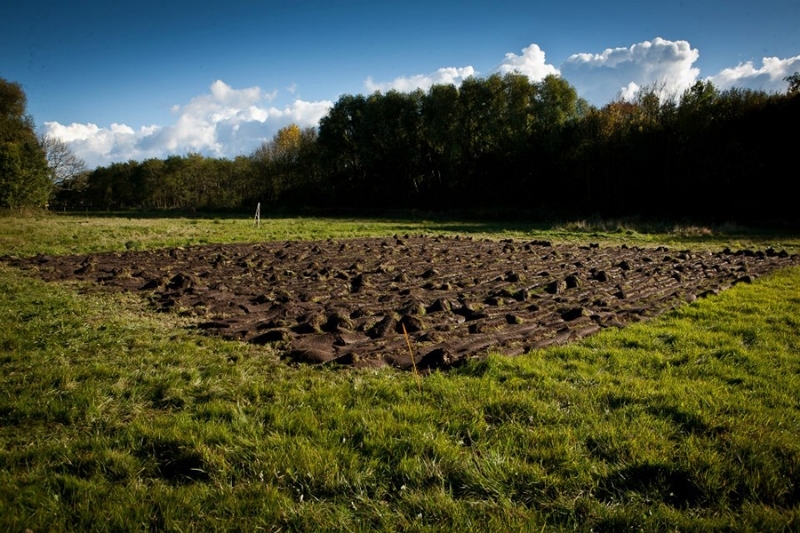 In Search of… was financially made possible by Mondriaan Fund, SNS Reaal Fonds, VSB Fonds, Kunstraad Groningen, Gemeente Oldambt, Stichting Beringer Hazewinkel, Stichting Het Roode- of Burgerweeshuis, Het H.S. Kammingafonds. Dutch journalist Britt Stubbe (a.o. Het Parool), grew up in Nieuwe-Beerta, just like Ader. She wrote about what it’s like growing up in Nieuw-Beerta. 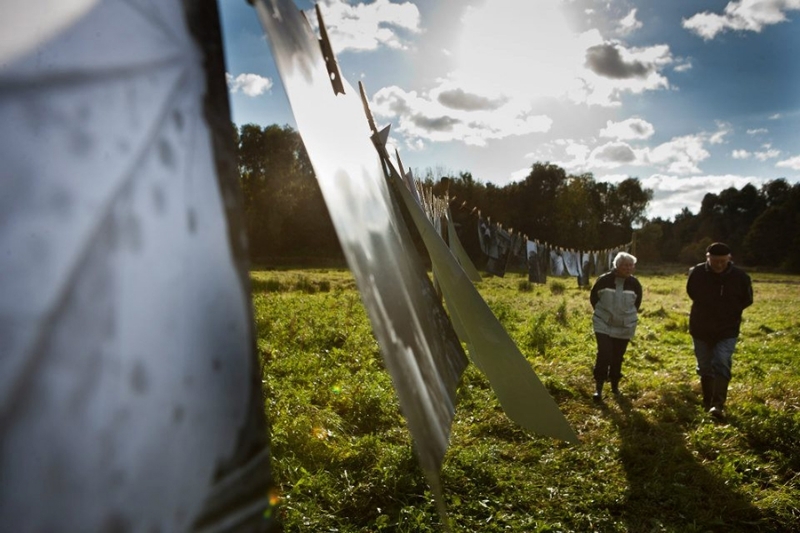 Artist Maria Barnas wrote an article about sentimentality. 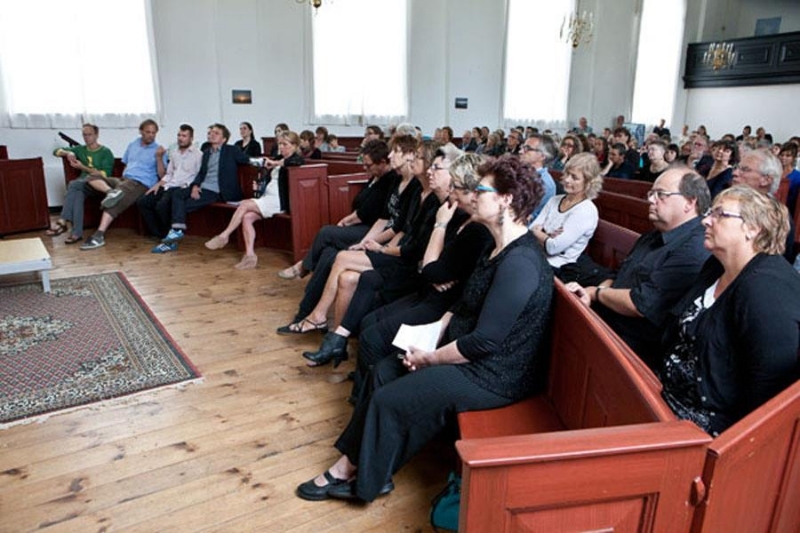 Koos Dalstra wrote a piece in which he tells about a trip to Switzerland, where he and colleague Marion van Wijk attended an opening of artist James Turrell, one of the last artist that saw Ader alive. Dalstra wanted to find out if Turrell perhaps knew what route Ader sailed with his little boat…. 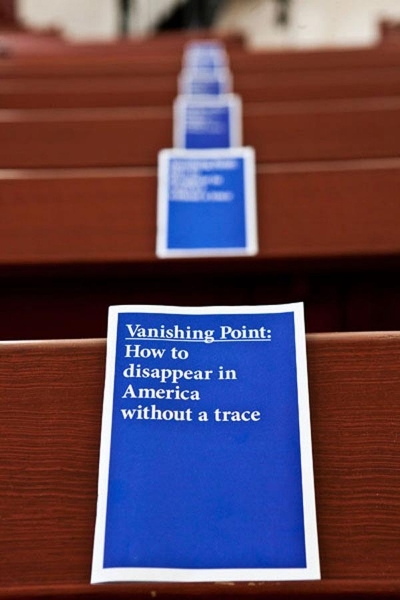 The graphic design of the publication (and the project as a whole) was done by Enkeling and Erikenik.